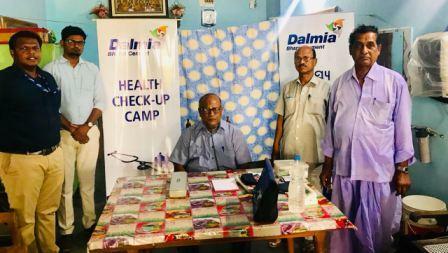 Bhubaneswar: Dalmia Cement has organised a free health camp for masons in Balipatna block of Khurdha district. 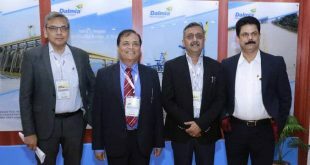 Odisha head Sameer Lawrence, area manager Tapan Sahoo, technical head Tushar Mohapatra, senior sales officer Amit Behera and technical officer Amit Baran Das were present on the occasion. More than 60 families took the opportunity for their health check-up. The masons are always busy in their daily work so they ignore the health issue to some extent. By organising this free camp, Dalmia Cement has won the hearts of masons and their families, said a dealer Gopinath Sahoo.